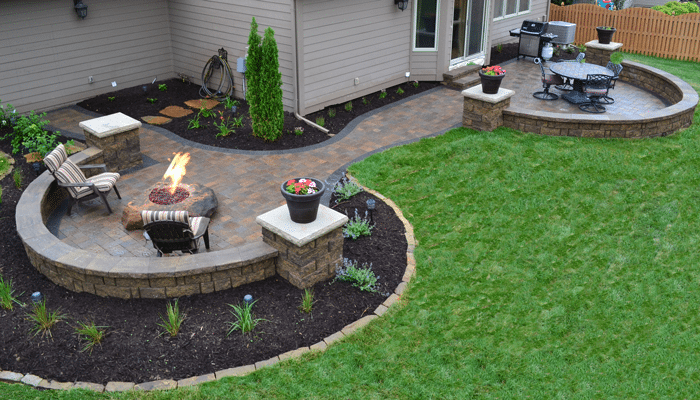 For 50 years, Omaha homeowners have chosen the Omaha Home & Garden Expo as the destination to inspire home improvements and outdoor innovations. 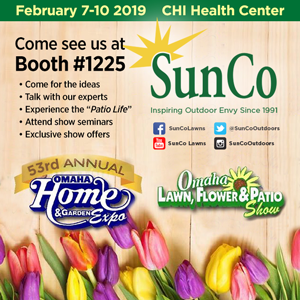 This year, February 8-11 at the CenturyLink Center, we want to help you create an outdoor space that will have you living your best life, year round. 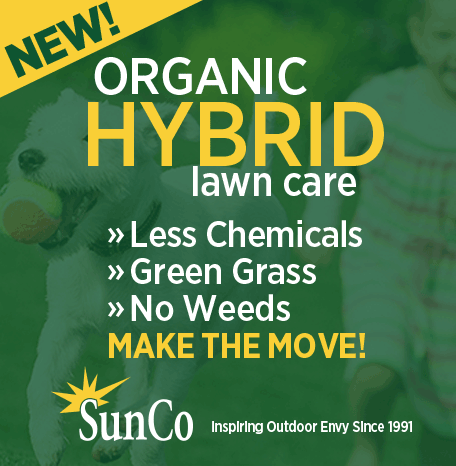 So mark your calendar! 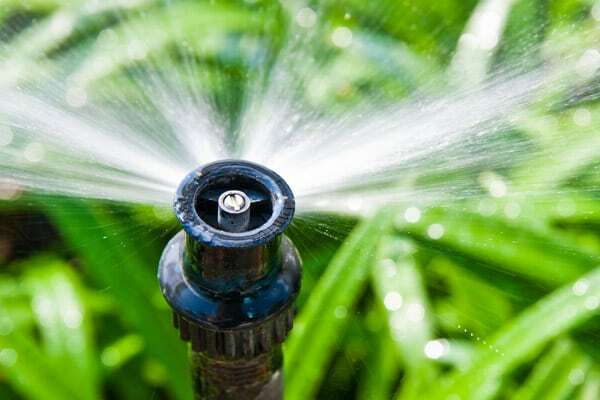 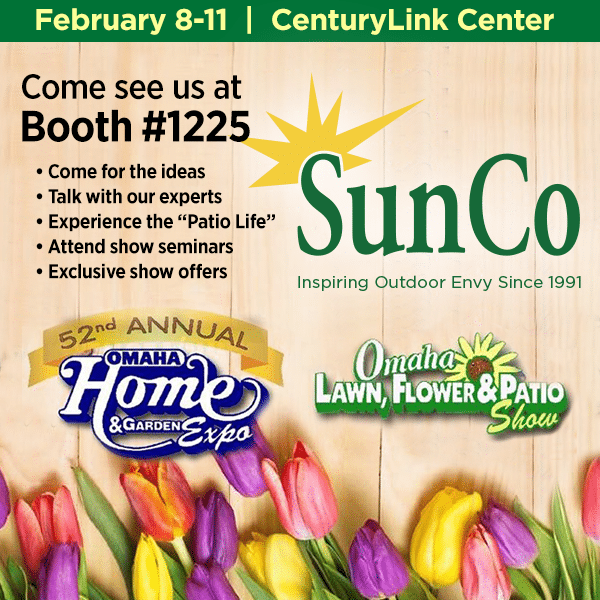 If you are ready to change the way you experience your great outdoors, visit SunCo at booth #1225 during the 52nd Annual Omaha Home & Garden Expo February 8-11 at the CenturyLink Center in Omaha. 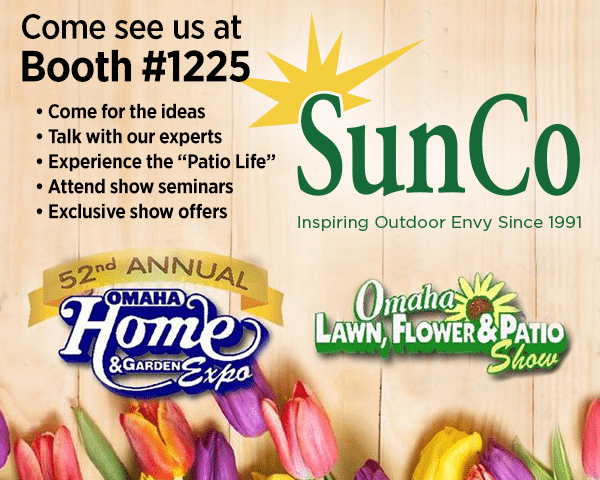 We look forward to meeting you Thursday-Sunday at the Omaha Home & Garden Expo!